any kind of party can be a stressful experience, there’s finding a DJ, getting decorations and getting the food and drinks together. One of the hardest tasks when planning a party is picking that perfect venue; but if you choose marquee hire in Brentwood, this is one stress that you can tick off the list. One of the most fantastic benefits of marquee hire is that you can place your party absolutely anywhere. A perfect summer party theme idea is the traditional British garden party. You can transform both your garden and marquees using Union Jack bunting, a spread of scones and sandwiches or even a croquet set. When using marquee hire, you can guarantee a dry day for when the British summertime lives up to its reputation. Transform the roaring twenties’ mansion party into your marquee, using marquee hire. Add a large chandelier, gold chairs, curtains and bar using furniture hire and live out a party only in Gatsby’s dreams. With some additional glamourous Gatsby dancers, this night won’t be one to forget, old sport. Have your very own enchanted forest as your party theme. Using a green and gold colour scheme for your curtains, drapes and tablecloths or even evergreen branches as table set pieces will give your marquees a natural, wood-like feel. When using marquee hire you can pick any size you wish, so why not go all out and bring in toadstools, hanging branches, glittery large leaves and fresh ivy trails. Fancy an Asian theme to your marquees? Decorate your marquee with red, black and silver drapes, bamboo placemats, blossom tree silhouettes and red square voile screens. This, along with some sushi and other Japanese culinary delights as a spread will transform your marquee hire into an Asian paradise. If you want to recreate the city that never sleeps in your marquees, surround the party with drapes of red, white and blue and place American flags on all tables available with furniture hire. As a backdrop for your bar, have a New York skyline to bring you and your guests straight to the big apple. If these party theme ideas gave you inspiration for marquee hire then A Fordable Leisure Ltd is the perfect place to start your themed marquees transformation. A Fordable Leisure can also provide any bespoke furniture hire you need for your themed marquee party. We can cater to any of your marquee party needs in many locations in Essex, such as Chelmsford, Ilford, Brentwood and Romford. 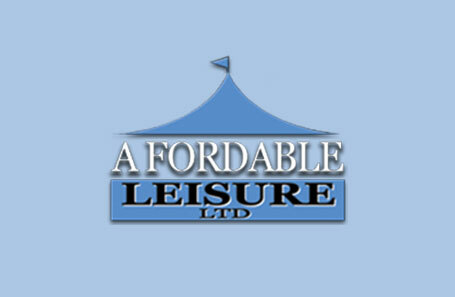 If you need more information, please don’t hesitate to get in touch with A Fordable Leisure Ltd at 01708448422. Alternatively, you can contact us on our website for more information on marquee hire in Essex.